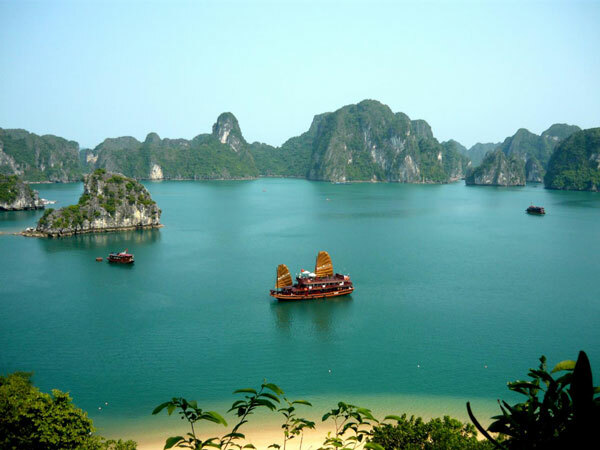 Standing proudly in the southeastern edge of the Ha Long Bay, the Cat Ba island is just one of many islands that together form the Cat Ba Archipelago. Although it is predominantly recognized as a resting stop throughout many of the Ha Long Bay tours, there are many wonderful sights to see on the wonderful island, combined with plenty of immersive activities. 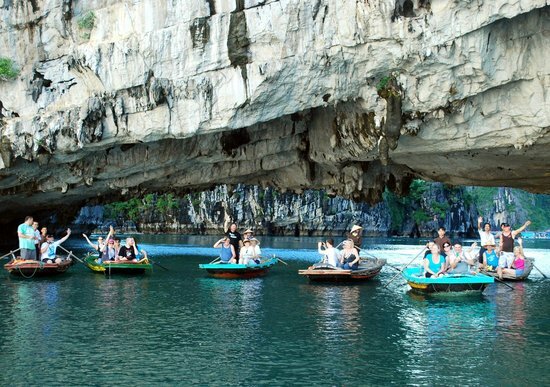 The entire half of the Cat Ba island is a national park, which is usually included in organized tours. If you do have enough time, it would be worth your while to spare a few days to truly explore the wonders this breathtaking destination has to offer. Whether you are going to be backpacking it alone, or following a tour, make sure you give this gem plenty of your attention. To describe Cat Ba as fairly as possible without too many words, it is a place where everyone can find some form of entertainment. If you are an outdoorsy person, hiking through the grand national Park, with fresh lakes and mangroves at your sides is going to be an absolute treat. To truly reconnect with the nature, you absolutely cannot afford to miss visiting the Monkey Island, where you will have a chance to see monkeys roaming freely, and have a chance to feed them. If you are after historical sites of interest, the Hospital Cave should be a worth a visit, and if you just want to relax in a pleasant atmosphere, you can take a walk through the majestic promenade, or visit one of the three beaches for a quick splash. The main attraction, located just by the town is the Cannon Fort, which is easily accessible on foot. Unfortunately, not many roads are connected to the north of the island, but there is nothing of particular interest located there. There are plenty of interesting activities to take up, ranging from organized hiking and rock climbing, to kayaking and sightseeing. To take breaks and prepare for your latest ventures, you can always stop at one of the restaurants to enjoy freshly prepared seafood meals, which are guaranteed to make your mouth water. Speaking of long term staying, you aren’t exactly going to find a five-star treatment, but the good news is that accommodation exists to suit nearly all of the price ranges. The more luxurious accommodation options tend to be set up near the beaches, and with a fairly large number of hotels present, it is highly unlikely that you won’t be able to find a room. If you would like to have a schedule that will allow you to visit all of the points of interest and still have enough time to enjoy exciting activities, you can easily sign up for sightseeing, boat or bike tours, which all have a unique approach to showing you the beauty of Cat Ba. And if you happen to be looking for a place to relax and unwind, The Good Bar has a strong reputation, so be sure to make a short stop, at least to taste their Vietnamese coffee. 3 stars This property participates in our Preferred Properties Programme. Preferred properties offer excellent service and quality in relation to the best available rates. Based on this, and on feedback received from previous guests, we highly recommend this property. Featuring a private beach area, Cat Ba Beach Resort operates a 24-hour front desk and offers comfortable bungalows with views of the sea. There are 5 people looking at this resort. Boasting a private beachfront, Monkey Island Resort offers relaxing stays in wooden bungalows. Featuring a beach-side restaurant, it provides Wi-Fi in public areas and resort transfers.There are 5 people looking at this resort. 4 stars This property participates in our Preferred Properties Programme. Preferred properties offer excellent service and quality in relation to the best available rates. Based on this, and on feedback received from previous guests, we highly recommend this property. Located 500 metres from Cat Ba Town Centre, Cat Ba Island Resort & Spa features its own private beach area, Bai Cat Co 1. 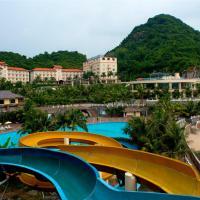 It offers a water park and 2 outdoor pools. There are 2 people looking at this resort. 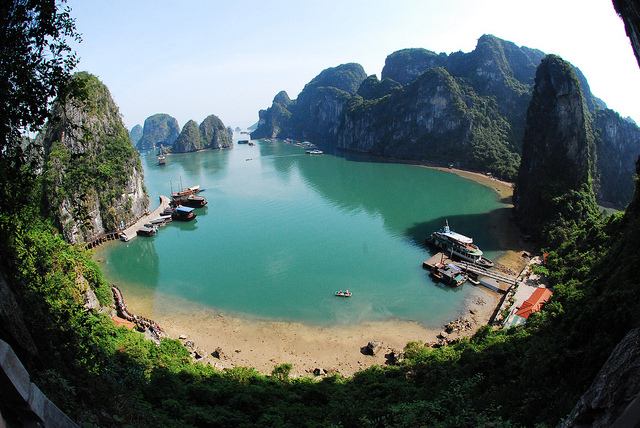 Catba Sunrise Resort is located on Catba Island in Ha Long Bay, just steps away from the beach. Providing free Wi-Fi, this tropical getaway features a beachfront pool and bar. There are 2 people looking at this resort. Situated on beautiful Cat Ba Island, Catba Palace Hotel sits along Lan Ha Bay and is just a 10-minute walk from Cat Ba Market and steps from the ferry terminal. There is 1 person looking at this hotel. 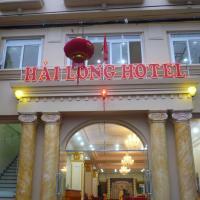 Hai Long Hotel is located in Cat Ba. Housed in a modern building it offers well-appointed rooms, a 24-hour front desk and free WiFi access. There is 1 person looking at this hotel. Centrally located in Cat Ba, Thai Bao Hotel offers homely and comfortable accommodation with free WiFi access throughout the property. 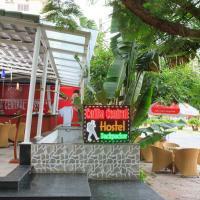 Featuring free WiFi and a restaurant, Chu Long Hotel offers accommodation in Cat Ba. Guests can enjoy the on-site bar. Operating a 24-hour front desk, Gieng Ngoc Hotel offers peaceful and comfortable accommodation with free WiFi access in the entire property. Green Cat Ba is a charming hostel which features a unique décor of ethnic houses in Vietnam. 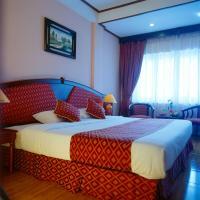 It is located in Haiphong, just 200 metres from Cat Ba Port and 800 metres from Cat Ba Beach. 1 person is looking at this hostel. Alibaba’s Hotel offers air-conditioned rooms with free WiFi and a 24-hour front desk. A 5-minute walk from Cat Ba Boat Terminal, the property has bicycles for rent. Located 10 km from Dau Be Island in Cat Ba, Full Moon Party Hotel features a restaurant and free WiFi. Guests can enjoy the on-site bar. Situated opposite Halong Bay, Phuong Mai Family Hotel is a 10-minute walk from Cat Co 1, 2, and 3 beaches. It offers complimentary Wi-Fi access and rooms with mountain or sea views. 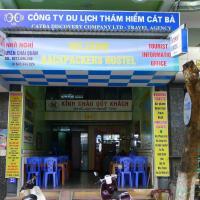 Thanh Cong 1 Hotel offers accommodation in Cat Ba. Each room at this hotel is air conditioned and features a TV with cable channels. Certain rooms include a seating area for your convenience. 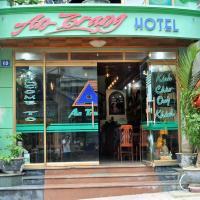 Cat Ba Seaview Hotel is 400 metres from the Cat Ba Market and Cat Co Beach. Offering rooms with city or sea views, it also features a set menu breakfast and free Wi-Fi access. 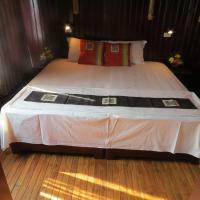 Featuring free WiFi, Kim Long Hotel offers accommodation in Cat Ba, 9 km from Dau Be Island. Guests can enjoy the on-site restaurant. All rooms are equipped with a TV with cable channels. Centrally located in Cat Ba town, Mr.ZOOM Backpacker Hostel is a convenient 10-minute walk to the famous Cat Co Beach. Catba Central Hostel offers accommodation in Cat Ba. Guests can enjoy the on-site bar. A terrace or patio are featured in certain rooms. Each room comes with a shared bathroom. There are 2 people looking at this hostel. Moonlight Traditional Junk Cat Ba offers accommodation in Cat Ba. Dau Be Island is 9 km away. The accommodation is fitted with a seating area. There is a private bathroom with a shower in each unit.